Christmas is not a time to hold back. If you're going to have a party, make it the biggest party of the year; if your going to hang the lights, make sure there are more twinkling than there was last year; if you're going to roast a turkey, find the biggest bird you can. And if your going to put on a show, it had better be the biggest of the season! Variety Shows are a standard format dates back to Vaudeville. In those days the theater owners could promise everything the patron could want in one show. Christmas is a time to pull out all the stops, and Variety shows were no exception! 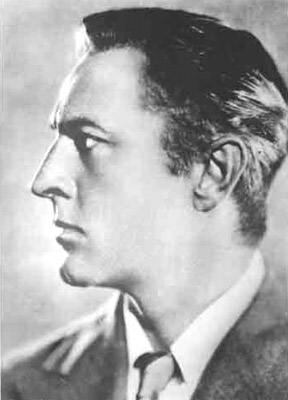 Texaco Star Theater, 12/21/38, John Barrymore,hosting, shares some comic Christmas banter with Una Merkel, then introduces Tenor Kenny Baker who reminds us, "Don't Wait Until the Night Before Christmas to be Good".Later the cast performs a Christmas drama, "The Song Of Christmas". Texaco Star Theater, 12/20/39, Ken Murray hosts, welcoming the Hollywood Santa Claus on the West coast portion of the program, as both Kenny Baker and Francis Langford sing, then the cast presents "The Murray Family on Christmas Eve". The dramatic half of the program presents "The Goose Hangs High" from New York. Moonlight Serenade/Chesterfield Time. 12/24/41, Glenn Miller starts the show with a swinging version of Jingle Bells and a pitch for Chesterfield smokes. Command Performance, 12/24/42, The Show's first Christmas Eve, and it is shared with the whole nation. M.C. 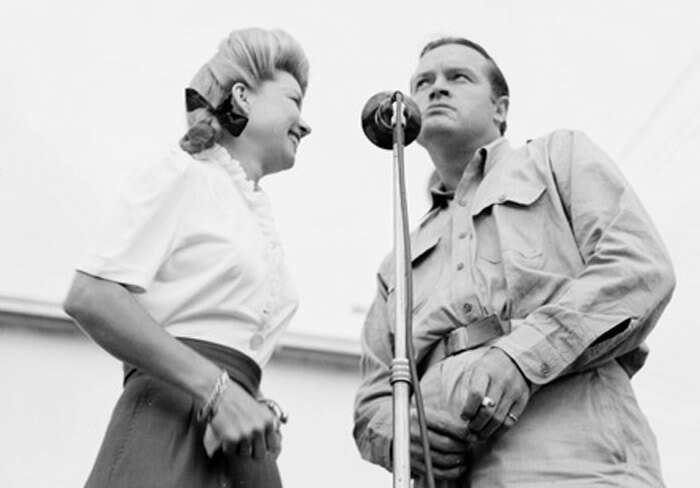 'd by Bob Hope, after his monologue, the Andrew's Sisters sing "The Pennsylvania Polka", Harriet Hilliard and Red Skelton do a Christmas morning sketch, followed by a Spike Jones version of Jingle Bells. Toward the end of the program the G.I.s command that Fred Allen and Jack Benny put their feud aside, can they do it? NBC Christmas Reunion, 12/25/43, An incredibly ambitious live Christmas Project from NBC, coordinating remote broadcasts from nearly every theater of the War. Not all of the remotes are an easy hook up, but we do get to hear servicemen and women having the best Christmas they can so far from home and family. We even get a visit from Amos 'n' Andy as well as Rudy Vallee! The Dinah Shore Program, 12/23/43. Dinah sings, has some fun with comedian Wally Brown, who is playing Santa on Hollywood and Vine (having been drafted by the Salvation Army). Dinah apologizes that there will be none of the sponsor Birdseye's frozen turkeys because of war-time demands. Information Please, 12/25/44, The Quiz show originates from the Auditorium at the St. Alban's Naval Hospital, where the quiz show is spending the holiday with the veterans. A guest expert tonight is Fred Allen, who still manages to get a dig in on Benny. The Railroad Hour, 12/25/50. 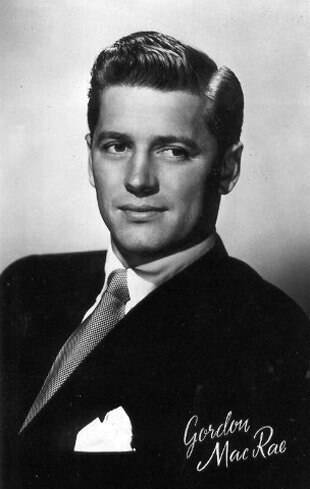 Gordon MacRae hosts and sings for us, along with Lucille Norman and the Norman Luboff Choir. We are also treated to a wonderful interpretation of "The Nutcracker Suite" to remind us of the magic of the season. Textron Theater, 12/22/45. Helen Hayes stars with Jose Ferrer in this version of the Nativity story told from the viewpoint of the Innkeeper's Wife. Readers Digest/Hallmark Playhouse, 12/27/47. The town reprobate teaches the new minister the true meaning of Christmas. ...There are many more programs to enjoy! Thank you so much. This is a brilliant site for those of us on the other side of the pond who remember with fond nostalgia some of the "matured" programmes of our youth. It was particularly helpful for me in tracing items for my husband who has a keen interest in American History. The delivery was absolutely fantastic, less than 10 days from placing order to receiving items. Many Thanks again. Teresa.